ATTENTION DEVELOPERS, BUILDERS, INVESTORS... Three adjacent properties totaling +/-22173 Sq.Ft. of M-C1 land. Opportunity to build a landmark multi-unit complex surrounded by the desirable communities of Kelvin Grove, Chinook Park and Kingsland with convenient access to Elbow Drive, Glenmore Trail, Chinook Centre and Downtown. 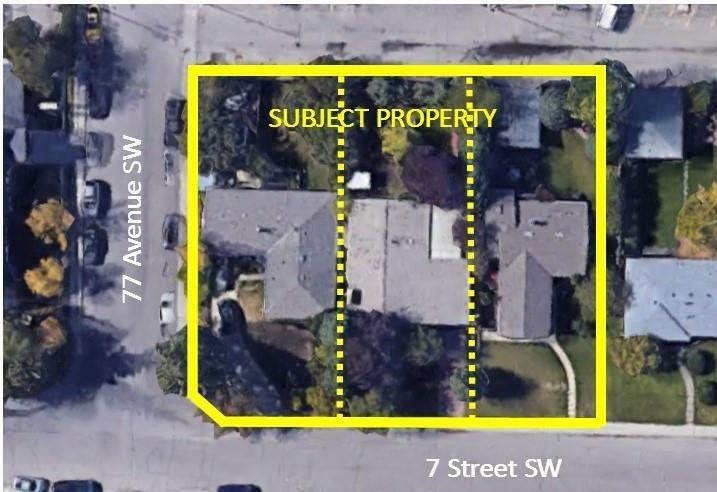 Must be sold together with 7711/7715 - 7 Street SW. Total of 22173 Sq.Ft. of M-C1 land ($2.7m). Neighboring property to north is proposed for a large assisted living complex. Houses are currently occupied with viewing subject to accepted offers.